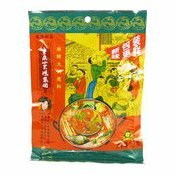 Shancheng Brand Chongqing hotpot seasoning, invented by our company is a typical seasoning of Sichuan-flavouring hotpot. This product is produced by traditional brewing process, is spicy, tasty and savoury. Not only is it a good idea to entertain guests and present for friends or relatives, but also is high-class seasoning to the restaurants. 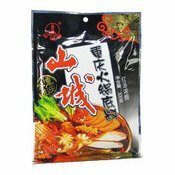 Ingredients: Vegetable Oil (30%), Chilli (26%), Salt, Ginger, Garlic, Broad Bean, Sugar, Cooking Wine, Sichuan Peppercorn, Flavour Enhancers (E621, E635). Simply enter your details below and we will send you an e-mail when “Chongqing Hotpot Seasoning (山城紅油火鍋)” is back in stock!